Brei Law Firm > NEWS & RESOURCES > Real Estate Law > Can My Homeowner’s Association Really Take My House? Homeowner’s Associations (“HOAs”) are a prevalent feature of modern property ownership. HOAs are known to increase property values through maintenance of common areas and the enforcement of beneficial rules. 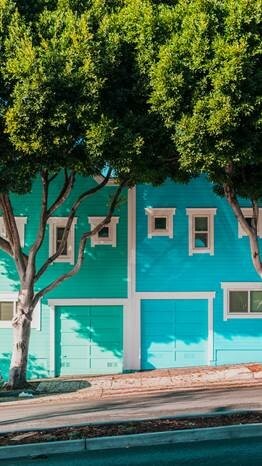 After all, even if you can find a way to tolerate it, your neighbor’s fluorescent yellow paint exterior will almost certainly make it harder to sell your house to someone else. But for those who receive notice that their HOA has moved to foreclose on their property for as little as $1,200 in delinquent assessment payments, such unchecked power comes as a shock. Arizona law, A.R.S. § 33-1807, specifically authorizes such foreclosures. A foreclosure will cost more than the initial debt. Under the statute, HOAs can also collect fees for late payments, collection fees and attorneys’ fees. For someone who is struggling financially, these additional costs can bring the price of keeping their home out of reach. In 2017, SB1400, a bipartisan bill, would have required HOAs to offer reasonable payment plans to homeowners before initiating foreclosure, and increased the statutory threshold to two-years and $2,500. The Arizona Association of Community Managers, an HOA lobby, helped fight and, ultimately, successfully defeat this bill. Arizona has over 9,000 HOAs. Yet, they remain largely an unregulated form of privatized government, often run by inexperienced volunteer boards and unlicensed management companies. In Arizona, HOA foreclosures are surging. The Arizona Republic conducted a large-scale investigation in 2015, which revealed that HOAs had started foreclosure actions on more than 3,000 Phoenix homes. Investors, and others, eagerly attend HOA foreclosure auctions to buy up properties at very low prices. Pursuant to the statute, the former homeowners are even required to pay the auction fees. If your HOA is threatening your home, contact our experienced Tucson attorneys to help you navigate possible defenses and strengthen your position with your HOA.